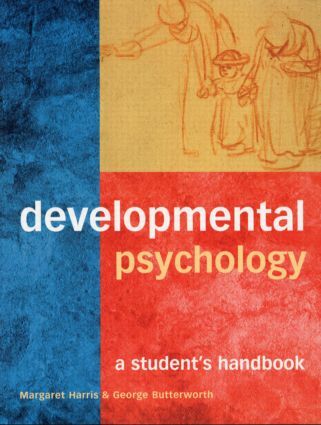 Developmental Psychology: A Student's Handbook is a major textbook that provides an up-to-date account of theory and research in the rapidly-changing field of child development. Margaret Harris and George Butterworth have produced an outstanding volume that includes recent research from Britain, Europe, and the USA. The text is designed for undergraduate students who have little or no prior knowledge of developmental psychology. The book places developmental psychology in its historical context, tracing the emergence of the field as an independent discipline at the end of the 19th century, and following the radical changes that have occurred in our understanding of children's development since then. The development of the child is covered in sequence: through conception, pre-natal development, birth, infancy, and the pre-school years, to the achievements of the school years, and the changes that occur during adolescence. Each period is addressed in terms of cognitive, social, and linguistic development, including discussion of reading, spelling, and mathematical development. There is also consideration of comparative research concerning the development of cognitive abilities in other primates. Developmental Psychology: A Student's Handbook is essential reading for all undergraduate students of developmental psychology. It will also be of interest to those in education and healthcare studying child development.